Pandora: The Tale of a Good Girl Gone Bad? 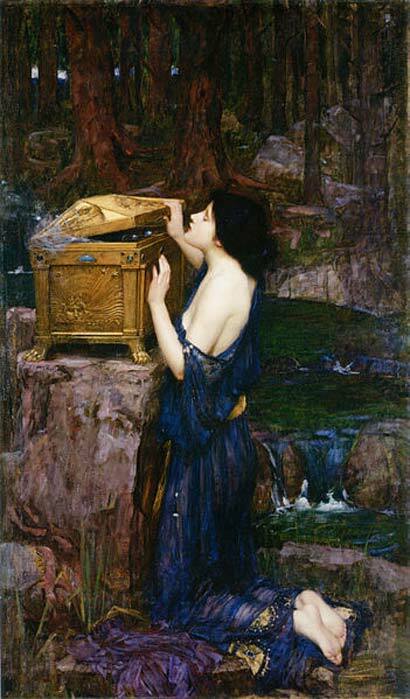 When Pandora opened her box, as the Ancient Greek myth goes, all manner of evil was released into the world - ending the Golden Age of man and forsaking them to a life of death and rebirth. Being the first woman created by the gods, she was sent as a punishment. This set a very negative precedent for the women that would succeed her, and this sexism remains in modern times. However, Pandora was not always despised as the bringer of evil. Originally, she was seen as a life-giving goddess much like the better-known goddesses Gaea, Athena, and Demeter. Over the years, Pandora went from a revered goddess to the root of all evil, later to be conflated with other religions and immortalized in art and myth. When Pandora was delivered to mankind, she brought with her a pithos (an ancient Greek vessel), later misconstrued as a box, which contained disease, pain, and various other evils that were released to the world. However, once the box was opened and Pandora saw all the evils fly out of it, she attempted to replace the lid, leaving one thing behind - hope. Thus, ended the Golden Age of man and the Silver Age began, in which man was not subjected to death. With the introduction of women came birth, leading to the cycle of birth, death, and rebirth. The epithet “Anesidora” was more commonly applied to the goddesses Gaea and Demeter, implying that Pandora was akin to these great goddesses rather than the bringer of evil in the world. In classical scholarship, it is generally agreed that, for female deities in particular, it is common for initial deities to be broken down to form splintered, lesser versions. This happened with the so-called “Great Goddess” who would produce goddesses with more specialized functions such as: Gaea, Demeter, Persephone, Artemis, and Hecate. Pandora also appears to be a product of this splintering. It has been suggested, from documentation that is now lost to us, that originally Pandora was an embodiment of the fertility of the earth and its capacity to bear fruits for the benefit of mankind. While it is not in the written record, it can be seen in 5th century BC pottery and therefore scholars have been working with this medium to gain a greater understanding of Pandora prior to Hesiod. Over time, this image of Pandora as an all giving goddess devolved into the “all-gifted” version of herself that we all know today. A commentary on Hesiod’s works argues that Hesiod shows no awareness of the previous mythology surrounding Pandora in her role of a life-bringing goddess. However, other authorities on the subject argue quite the opposite, that Hesiod was aware of these previous myths and intentionally subverted them in favor of a more patriarchal view. 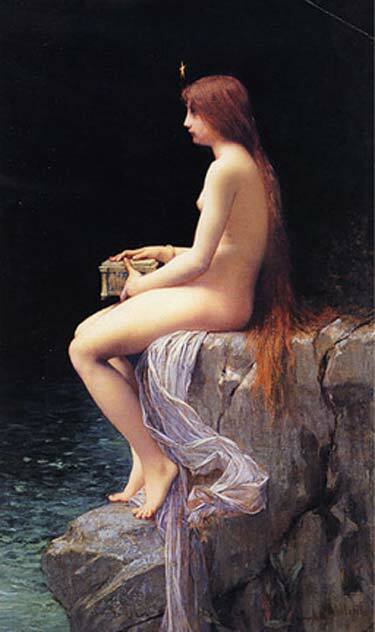 In this sense, it is argued that the myth of Pandora is not a genuine myth but rather an anti-feminist fable of Hesiod’s own devising, that was used as a commentary on the culture that he lived in and that perpetuated his own biases. It has also been suggested that Hesiod was aware of a shift in power in his time from matriarchy to patriarchy and this was his way of explaining the female fall from power. In later art, Pandora is seen as the anti-Athena, from opposite sides they reinforced the ideologies of the patriarchy and the highly gendered socio-political realities of 5th century BC Athens. Athena rose above her gender in order to defend it, whereas Pandora embodied the need for male control. 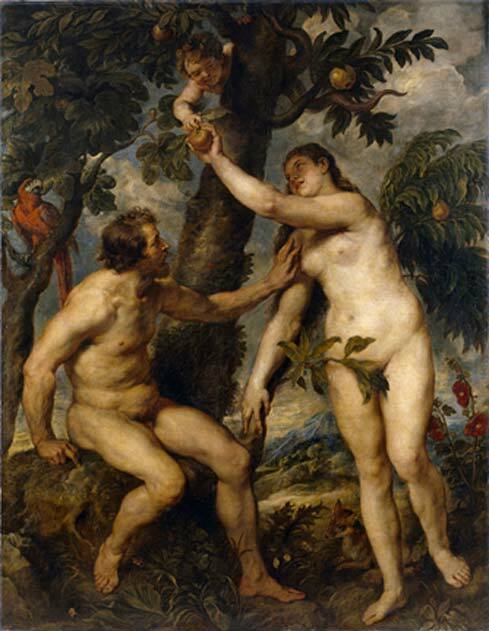 In her later role, as the source of all evil in the world, strong parallels can be drawn between Pandora and Eve in the Christian Book of Genesis. Each were the first woman in the world, and each played a major role in the world’s transition from a place of ease and bountiful life, to one of suffering and death. In both stories the transition in the world is brought on as revenge for a transgression against divine law. Both women were given one prohibition to maintain their idyllic lives, and both were drawn to violate the prohibition - bringing evil and suffering into the world and ending the paradise they lived in, not only for themselves, but for all mankind. However, one major difference remains, Eve was created by God to help Adam, whereas Pandora was created as a punishment from the gods. 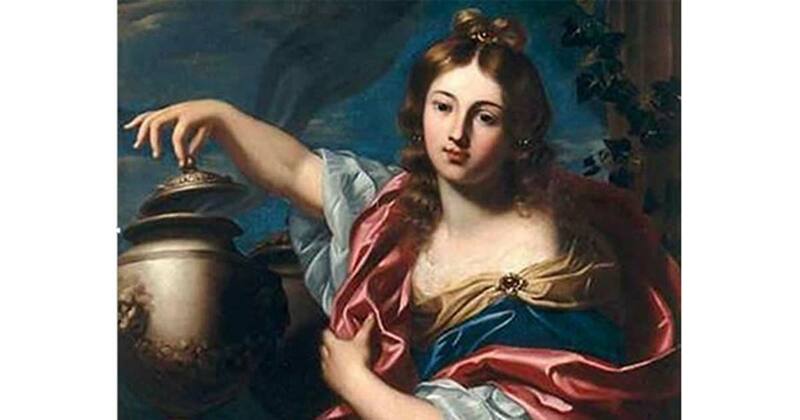 Some believe that the stories of Eve and Pandora have been retold over the centuries to more closely resemble each other, and this may be why they seem so similar in the present day. Eve was Created from Adam’s Rib, but What About the Other Women? Where did the First Women of Ancient Creation Come From? Read more about Eve was Created from Adam’s Rib, but What About the Other Women? Where did the First Women of Ancient Creation Come From?